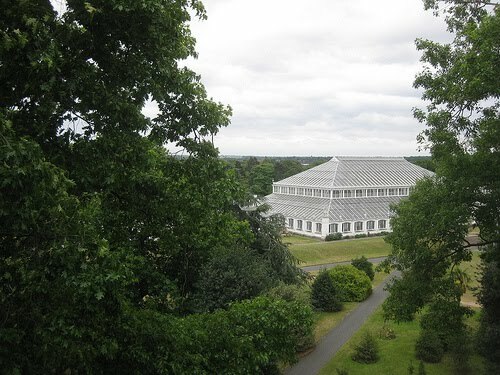 In an attempt to appeal to the family market this Easter, Kew Gardens are trying their best to make chocolate seem educational, bringing together the ancient history of the Maya and the Theobroma Cacao growing in their Princess of Wales Conservatory, which weary parents can use to try to teach the kids about where chocolate comes from. Your author can't fault them for trying, and if you have little ones in tow it sounds like Kew have put on some entertaining stuff over the holidays, with a pretend ruined Maya village, craft workshops and even origami to hopefully divert even the shortest attention span. I love your blog - I look at it every day! A trip to Kew around Easter is a wonderful thing to do. I took my bunny-loving daughter there a couple of years ago to see the giant bunnies. It was worth the wait in line!